🔴 Professional, handmade creations, FAST delivery! 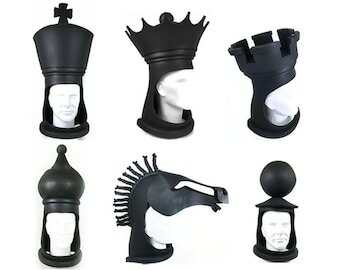 Human Chess Hats Adult Headpieces men, women dance costume masks black n white crown chess headdress handmade by Tentacle Studio. Most items are in stock, and we guarantee fast shipping worldwide. Everything's carefully designed to be lightweight and comfortable, so you can confidently enjoy your event without stress. Every item is skilfully made by our own hands: custom orders are welcome. or send us a message via Etsy. Christian Dior, Cirque du Soleil, Lady Gaga, Hermes, Coachella, Delta Airlines, Harrods, as well as stylists, museums, DJ's, theatres, ballet companies, professional performers and amateur party beasts! Our work has also featured in music videos and TV adverts for leading brands, including Peugeot and Sony. 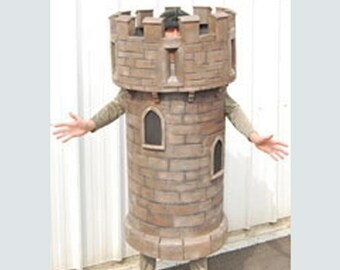 Castle Rook Medieval Fort Chess Costume Adult size, men, women, sandcastle, Handmade by Tentacle Studio. Crocodile mask Peter Pan adult costume head Tick Tock Starcatchers Mr Grin masquerade mask with moving jaw Hand made by Tentacle Studio. Praying Mantis insect costume mask head green bug masquerade mask ADULT or child, Animal friendly party pest! Handmade by Tentacle Studio. Dwarf Mask. Sneezy masquerade mask. Snow White, Seven dwarves half mask. Handmade. Ready to Ship. Beard costume head. Tentacle Studio. Lion King Mask Headdress. Sarabi, Nala, Sarafina. IN STOCK. Child + Adult lioness costume headpiece hat. Hand made by Tentacle Studio. Unicorn Headdress Mask Costume Adult masquerade mask AMAZING Holographic Glitter READY to SHIP men women Handmade by Tentacle Studio. Zebra Mask Head ADULT size headdress black and white African safari animal costume head Hand made by Tentacle Studio. Carousel Horse Mask Head, Adult size, Retro style, Carnival circus fairground costume headdress for men, women, Handmade by Tentacle Studio. Dwarf Mask Sleepy Snow White READY TO SHIP Carnival old man beard Seven dwarves masquerade mask costume head Handmade by Tentacle Studio. Grumpy Dwarf Mardi Gras Mask Snow White Seven dwarves Mens masquerade mask theatre party costume Handmade by Tentacle Studio. 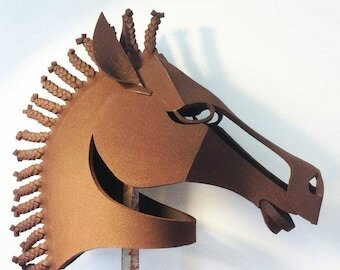 Brown Horse stage mask Equus or Man of La Mancha IN STOCK costume masquerade mask for adult, man, woman, child Hand made by Tentacle Studio. Couples costume Mosquito + Mantis (set 2 of ADULT insect costumes) bug head hats men women Hand made by Tentacle Studio. Pantomime Cow HEAD ONLY. Adult or child sizes. Into the Woods Musical. Milky White Cow mask headpiece Hand made by Tentacle Studio. Donkey Mask Costume Head Adult Midsummer Dream READY to SHIP Masquerade masks Hand made by Tentacle Studio. Praying Mantis insect bug costume mask wings in adult or child size Animal friendly party pest! Hand made by Tentacle Studio. Garden Art. Woodland fairy wall mask. Adult sprite mask, Waterproof decor. Headdress, autumn leaves. Hand made by Tentacle Studio. Human Chess Queen Headpiece Hat. Adult masquerade mask for women. Black n White Chess costume party headdress. Made by Tentacle Studio. Zazu Lion King costume mask hat headdress Child & adult African hornbill kids, adults, jr. Handmade by Tentacle Studio. Horse Costume Tail. Adult size adjustable. Hand made. Choose your color, Red, White, Brown, Black. Animal friendly costume tail. Great communication from Bev and great bunny mask, was absolutely perfect for our project! Really great delivery time, paid for express and was with us within just a few days. Bunny White Rabbit mask Easter woodland ADULT animal head. Faux fur Alice costume masquerade mask Handmade by Tentacle Studio. 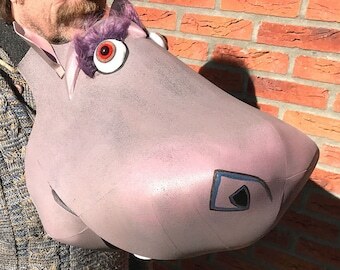 Really pleased with the new heads we created for the stage show of Madagascar. Look at those eyes! It's an Elizabethan Easter for one of our brown bunnies! Styled by Christian Walmouth for Wolf Hairstyling in Hamburg Germany. Mike and Bev making big heads. We met as theatre professionals, many years ago, and now we've worked for Gaga and Dior! We are Bev Shalts and Mike Petty. We first met many years ago, whilst creating costumes and props for big West End musicals in London. It was high-stress work: and for 5 years we were creative, problem-solving ninjas who never slept! It was great fun, and we learnt a lot, but eventually the chaos, exhaustion and low budgets started to drive us crazy. Could we create beautiful things, without having to compromise? We wanted to try. So we quit our theatre jobs, spent every penny we had on fine materials, and threw ourselves into producing our own creations. We sold them whilst travelling around Europe, and quickly made more, relishing the inspiration and new skills we gained along the way. Fast forward 25 years, and here we are. Over the years, we’ve vastly expanded our range, and our workshop is nestled just outside Amsterdam in the heart of the tulip growing area. We sell our creations worldwide via our own webshop and our Etsy store (where you are now!) and our custom clients include international celebrities, stylists, ad agencies and cultural foundations. But some things haven’t changed. Everything in Tentacle Studio is still made by hand, by us, and we make sure that you, our customers, get our creations in good time for your deadline. We are still exploring new ideas, and creating unique things that don't exist anywhere else in the world. And we still love to see people have fun and get transformed by our creations! or message us via Etsy. I'm a classically trained tailor, yet I've gone way beyond the original scope of tailoring! I get a real kick out of transforming faux fur and paint into a spark for your imagination. I create wearable, well tailored reality for fantastic people! A classically trained sculptor, Mike has over 25 years professional experience in sculpture and mask making. Born near Bristol, England, he spent many years working in sunny South of France. He plays blues harmonica, loves good food and books. Mike and Bev, collectively known as Tentacle Studio, have been creating and selling their work all over the world for the last 25 years. Our workshop is nestled in the heart of Amsterdam's old tulip growing area. We personally design and create everything in our shop with our own hands. Need it fast? Got a question? Just ask! You can reach us by an Etsy message, email or phone. We want you to love the things we create, so we triple check everything - in obsessive detail - to guarantee their quality. But if there is a problem with your item, you need to tell us immediately and we'll do what we can to help. We'll happily replace items in the unlikely event they arrive damaged, but after 14 days no refund or replacement is possible. Only goods in a new, unworn condition will be considered for refund. If photos of you happily wearing the item have been posted on social media sites, the item has clearly been used! And so it is not eligible for a refund. Please think carefully about what you want, and ask questions before placing a custom order, as custom-made items are not eligible for return or refund. By custom-made we mean something in a non-standard colour, or a unique item that's specially made for you. 1. Goods must be in the same condition as when shipped. 2. Items must be returned via a trackable service, and insured for their full value. 3. Items must be securely wrapped (preferably in our original packaging). All shipping fees are non refundable. Shipping costs related to returning goods must be born by the purchaser. DO NOT post or return anything to us without speaking to us first please! Full payment must be received before goods will be despatched. Our company has been verified as a trustworthy business by Paypal since 2007. We accept payment via: Etsy gift cards, Paypal, credit cards, or direct to our business bank account. Our Standard Shipping is by guaranteed postal service, with insurance (see shipping times below). Need it faster? Add the UPS Express Shipping Upgrade during checkout. Europe usually 5-7 business days, in exceptional cases 15 business days. USA, Canada, Australia etc. usually 7-14, in exceptional cases 21 business days. USA, Canada, 2-3 business days. Australia,Rest of World, 3-5 business days. Tell us the exact date your order is needed. Your telephone number is essential for Express Shipping Upgrade. We ensure your packet has all the necessary customs declarations and invoice copies attached, so it moves smoothly through customs. We've been shipping internationally for many years. While the items we provide are clearly labelled as carnival items, or art collectables (that is… duty free) we cannot accept liability in the unlikely event that your country imposes any hold ups or customs duties on your order. That said, we've been providing headdresses, masks, costumes, fans, and all sorts of glorious frippery to people around the world for many years, and we have literally hundreds of happy customers! Valid from 25th May 2018. Below is a rough guide (for when items are in stock.) Send me a message for exact shipping times. Say where you are and what you want. I'll reply swiftly. *Time counted in 'working' days, meaning Monday to Friday only. Need it very fast? Message me now and I'll spring into action for you! All orders - both standard shipping and Express - include insurance and tracking number. 1. Contact us within 3 days of delivery. 2. We must receive the item back within 14 days of the delivery date. 3. The item must in an unworn, undamaged condition, and returned to us in the original packing (or similar) via insured shipping. 4. If the item is not returned in its original condition, the buyer is responsible for any loss in value. 5. All shipping costs are the responsibility of the buyer and cannot be refunded. Most of our designs are cleverly designed to be adjustable in size, but if you've got a question, just send us an Etsy Convo, an email, or phone us to chat about what you need. We're here to help and will respond swiftly. All items are securely packed to withstand worldwide shipping. If you need gift wrapping or have special instructions, just ask!